According to the Wall Street Journal, Apple is currently working on a Pandora-like music streaming service. There is no ETA, no pricing and rumor has it, Apple is still trying to iron out the licensing details with labels so its safe to say this is still a ways out. The service is set to be available across all of Apple’s devices (Ipad, Iphone, Osx, etc). Now this is all rumor and hearsay at this point, but if you look at the infrastructure that Apple has in place already, its certainly looking like an option. Obviously Apple has a pretty big ‘in’ with the music industry on account of its iTunes service, so securing the rights to stream the music shouldn’t be that difficult. We know they have the ability to mix in ads via the iAd platform as well. One thing that most folks to seem to be overlooking is Apple’s purchase of music service ‘Lala’ back in 2009 which points to more of a social streaming service akin to the likes of Spotify. Now I’m sure many of you know about Apple’s BIG event next week to announce the Iphone 5. Its rumored that the device will be sporting LTE which would obviously enable higher quality music streaming for a better user experience. Now we’re really going out on a limb here, but it would certainly be exciting to see them announce an Apple music streaming service as there ‘one more thing’ at the end of the event! 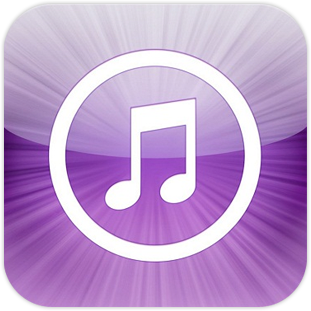 So what you do all think about the possibility of Apple getting into the music streaming biz? Do you think there is room in the market for another Pandora-like service?